Turkey MeatloafItalian Meatloaf11 Easy Meatloaf RecipesMeatloaf! Our Newest Series is Out! 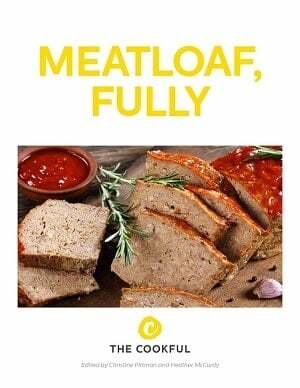 If you’re gonna make meatloaf, you don’t want just any old meatloaf. You want the best. We’re sharing all our secrets so you can make the best meatloaf ever. Ah, meatloaf. This is one of the best hearty dinners for the family to gather around. 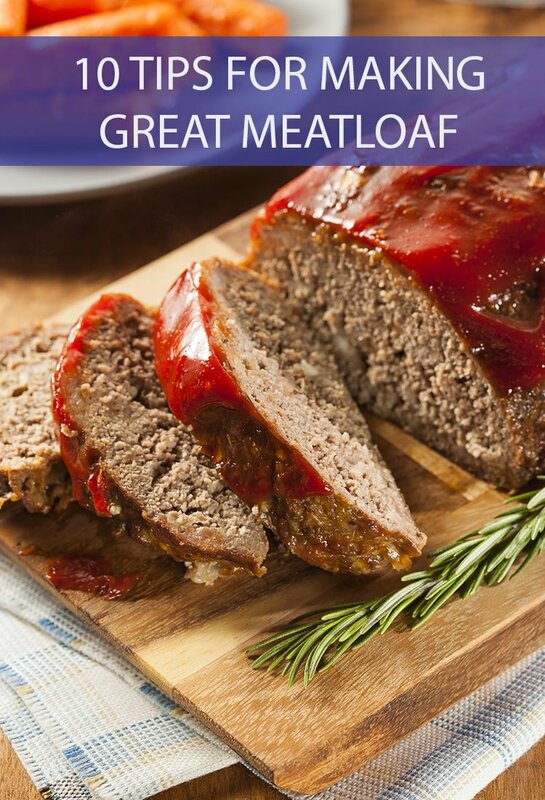 Meatloaf is great for large gatherings or just for comfort food while you’re snowed in for a weekend. It’s one of those extremely rare foods that is just as good the next day, making it one of the best leftover meals you can have. But if you’re serving up meatloaf for your family, you should make sure you’re giving them the best possible meal. That’s where these 10 helpful tips for making great meatloaf come into play. Ground beef is obviously the most traditional ingredient in meatloaf, and we’re not saying to nix it completely. But if you want to give your family a truly great meatloaf, consider adding some ground pork or sausage into the mix. The added flavor will work perfectly with the meat and make for an unforgettable culinary experience. Handle your meatloaf with care. Don’t mix it up with a spoon or other utensil. Wash your hands thoroughly and then dig in, carefully kneading it with your hands. A light touch is the key to creating a perfect meatloaf; overmixing leads to tough meat in the finished product. If you’re cooking in a loaf pan, don’t pack it all in too firmly. Gently pat it down into the pan and let it develop naturally while baking. Don’t stop at just salt and pepper when seasoning your meatloaf. Add some additional spices. Maybe use garlic salt instead of regular salt; red pepper instead of black. Add in some chili powder or paprika for a nice spice or use ranch seasoning for a memorable flavor. Play around with different combinations and find what works best for you. Preserving juices while baking is never easy. I’ve found that adding some milk to the mixture along with the eggs adds a bit of extra moisture to my meatloaf. This goes a long way toward ensuring that when you cut into your finished product it won’t be a dried-out mess. A good glaze is the final touch to your meatloaf masterpiece. You can’t go wrong with the traditional ketchup and brown sugar mixture but play around with some variations. Consider sriracha ketchup or barbecue sauce for something a little different. I know it’s exciting when your meatloaf is done, but don’t rush things. The smell it fills my house with is often enough to make me ravenous. But you should be letting your meatloaf rest for at least five minutes after coming out of the oven. This allows the mixture time to settle, making the loaf easier to carve into and enjoy. Stuffed meatloaf is one of the most amazing things you’ll ever eat. When you’re putting your meatloaf together in the pan, split the mixture in two. Then, place some other kind of food on the bottom half and cover it up with the top. Some common meatloaf stuffing includes cheese (my favorite), bacon and even hard boiled eggs and ham. Wrap ham or bacon around the cheese or hard boiled eggs for some extra goodness. Play around with the shape of your meatloaf. It doesn’t always have to be the traditional loaf shape despite what the name implies. One of my favorite variations involves baking the meatloaf as a ring with space in the middle. Then, when the meatloaf is served, fill the middle with mashed potatoes. It’s delicious and makes a great presentation. I mentioned earlier that meatloaf leftovers are amazing. 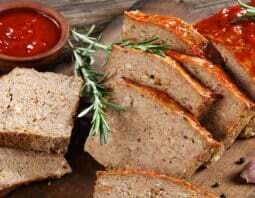 There are a number of recipes you can make with your day-old meatloaf, from simple lunches like a sandwich to something more complex like a breakfast skillet or pasta sauce. The leftover possibilities are endless!